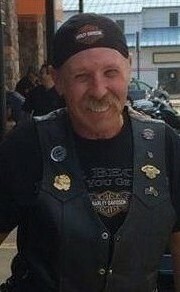 Provide comfort for the family of Randy Lindy with a meaningful gesture of sympathy. loving wife, best friend and soulmate, Sonja. fortunate enough to call their own. and loving him like a true Dad. wide open road before him. kindness has been and will be indispensable. Facebook at a later date when weather permits. To send flowers to the family of Randy S. Lindy, please visit our Heartfelt Sympathies Store. There will be a Final Ride for Randy to Kinzua Dam (Jakes Rocks), to be announced via Facebook at a later date when weather permits. Provide comfort for the family of Randy S. Lindy by sending flowers.